About time I tried Guu Original in Vancouver! I’m almost too embarrassed to admit that it is my first time trying after living in 604 for a year. The line ups were the first thing that scared me but getting a table at 5:30pm beats the dinner queue. We went in and we were greeted by the whole restaurant, including the chefs behind the open kitchen. 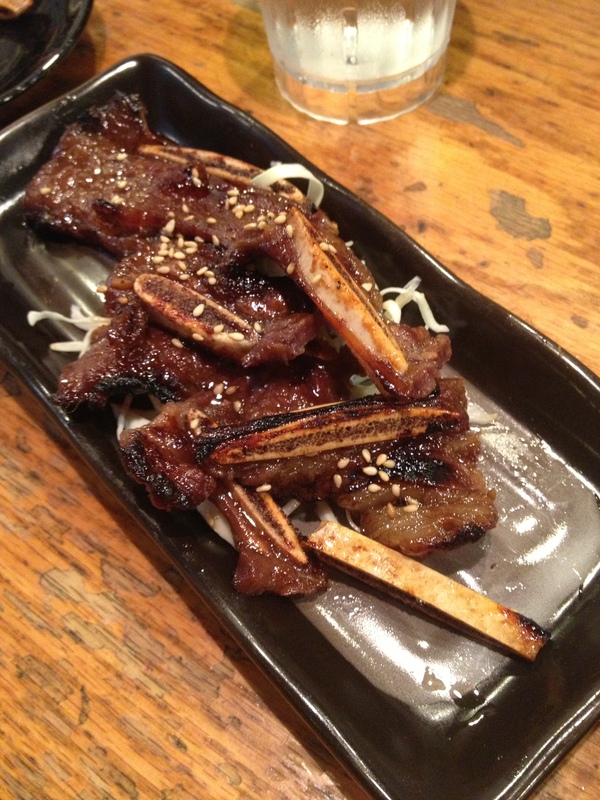 I’m just putting it out there – Guu is not the place for a quiet and romantic dinner. The restaurant is crowded and loud yet lively with the servers and chefs taking orders and almost yelling at each other when the food is prepared. We happened to get a bar seat right next to where the servers got the prepared food from the chefs so ironically it was a more physically intimate dinner but not for talking. Japatapas here I come! Our first dish was the Karubi (CAD8.50) with BBQ garlic sauce marinated beef short ribs and a sprinkle of sesame seeds straight from their grill. It was fall off the bone tender and sweet just the way I like it. 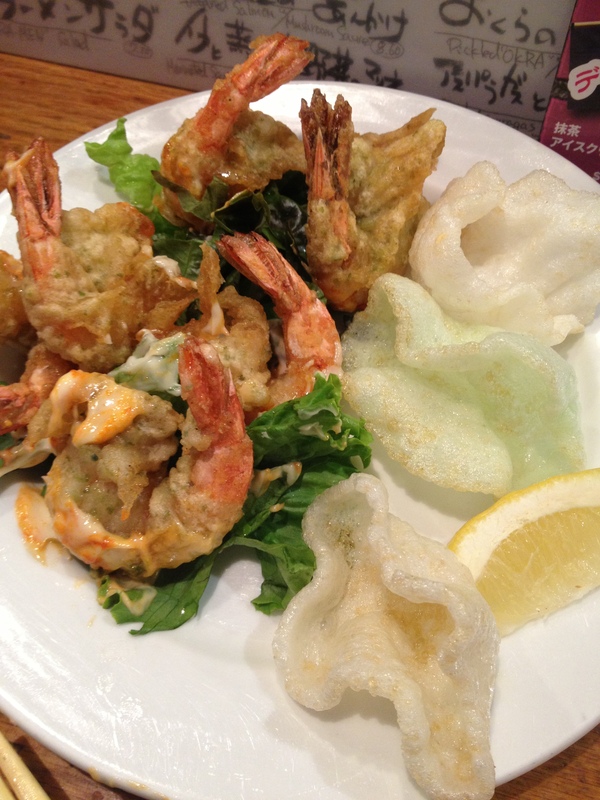 More: Read about my lunch at Guu Garlic or all my other posts on Japanese food in Vancouver. 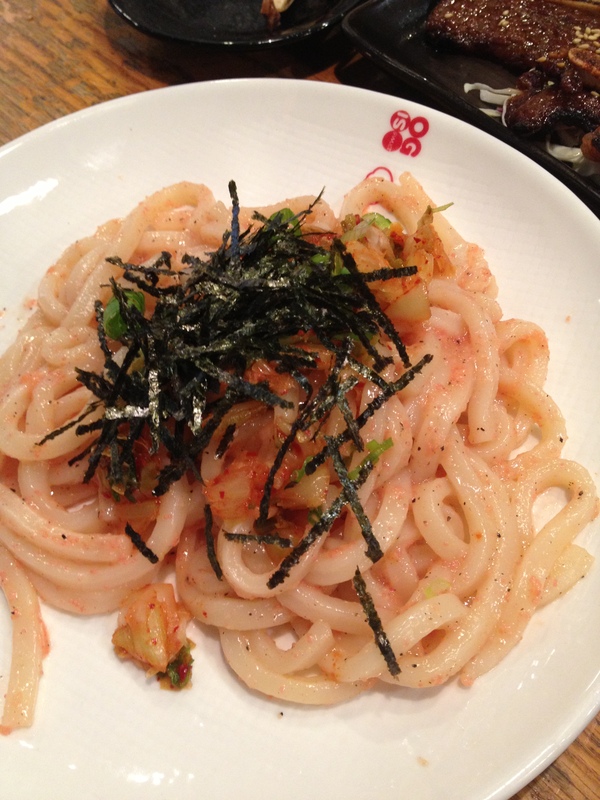 Second was the Kimchi Udon (CAD8.50) sprinkled with seaweed and since I love udon and I love kimchi…this dish was a must eat for me when I saw it on the menu. The udon was soft and chewy with a mild spicy kimchi flavour in every bite and slurp. Although I have to say that this isn’t so hard to cook in your own kitchen. I was far from full so when the Ebi Mayo (CAD8.50) including deep fried prawn with chili Japanese mayo arrived, my eyes popped. First thing is that I always dread getting my fingers dirty during any of my meals, so when I saw that most of the shell has already been removed… nothing stopped me from grabbing the first bite. The prawn wasn’t soaking with oil like most deep fried treats and the chili mayo gave it a spicy after taste. Just a hint on another way of eating is to try wrapping the prawn with the lettuce. 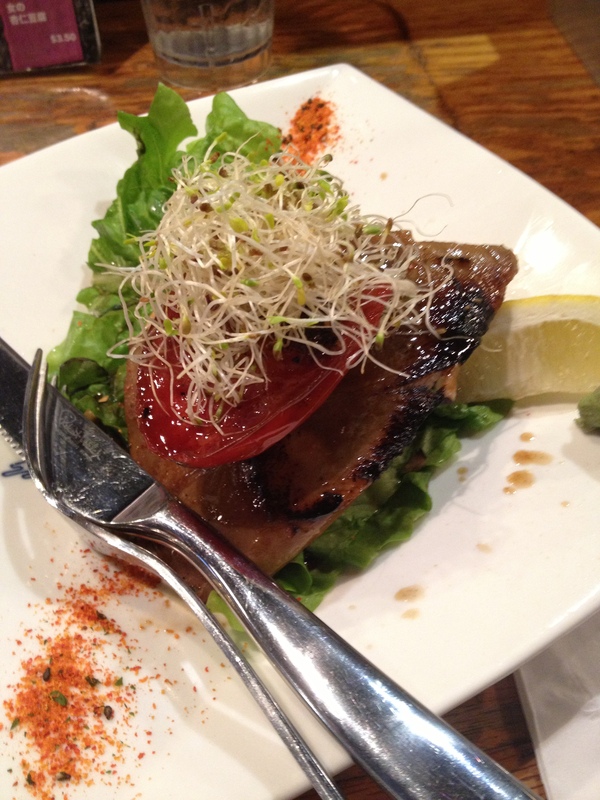 The champion of the dinner was the Maguro Steak (CAD10.80) that is ahi tuna sashimi steak marinated in soy sauce and sake. I have always enjoyed fish marinated with sake and this generous piece of of ahi tuna sashimi was cooked crunchy on the outside with a tender raw inside. The two yin yang textures complimented each other so well with the heavy soy sauce and a sweet sake taste that left my friend and I dying for another dish; we didn’t order another one though, our mistake. For the price we paid, we were extremely satisfied with the quality and presentation of the food and I would definitely go back just for the Maguro Steak. For more information, check out their menu.